You Are Here: Home » Blog » Events » Dance and Dine with Community Kitchen Pittsburgh! 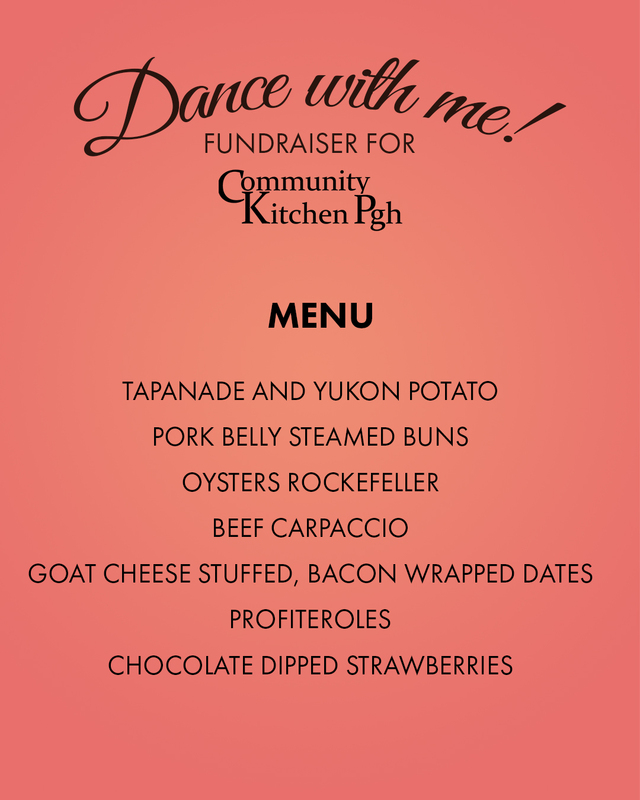 Dance and Dine with Community Kitchen Pittsburgh! Join our friends at Community Kitchen Pittsburgh for a magical evening of dancing, dining, and cocktails at the Graeme House in Market Square. Your ticket includes an hour of formal dance instruction with professionally trained dancers and a variety of succulent hors d’oeuvres and sparkling wines. Individual and couples’ tickets are available. All proceeds go to support Community Kitchen Pittsburgh’s mission, programs, and students. Your support is their success!